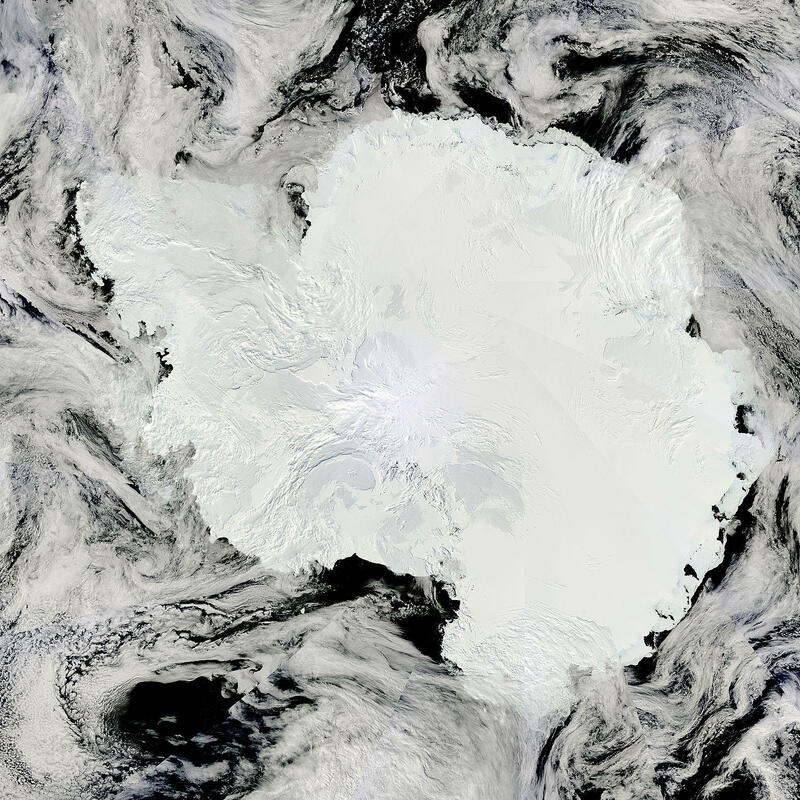 The sea ice around Antarctic is currently still at an historic low. As usual I think it is good to look at a geographic perspective on the sea ice distribution. This is the sea ice concentration 22 January 2017 compared with the 1989-1993 mean on the 22 January. RED shades = less sea ice than the 1989-93 mean on 22 January. BLUE shades = more sea ice than the 1989-93 mean on 22 January. 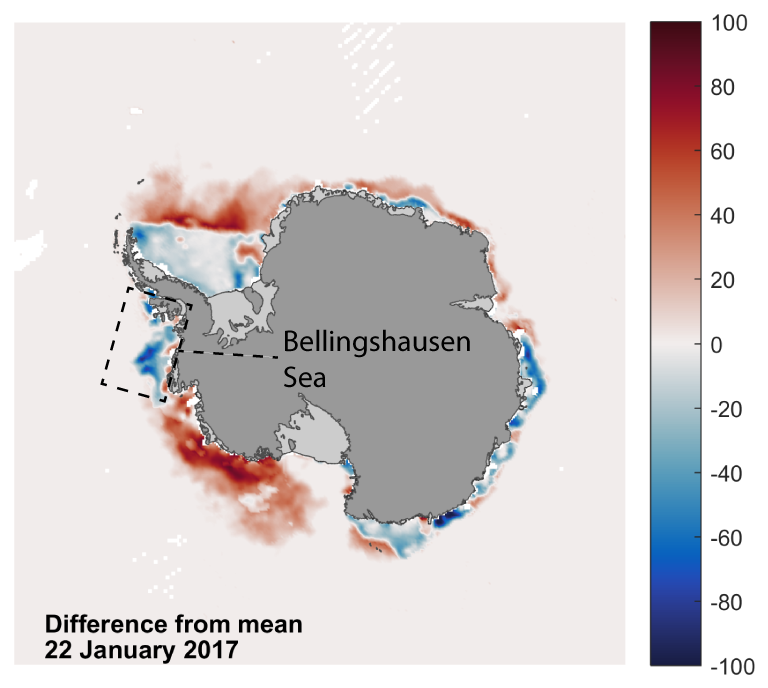 The mean Antarctic sea ice for the years 1989-93 on 22 January, the sea ice concentration on 22 January 2017 and the difference between the two data sets. Blue shades imply more sea ice and reds imply decreased sea ice compared with the mean. The original data come from the DMSP SMMI data set at the NSIDC. 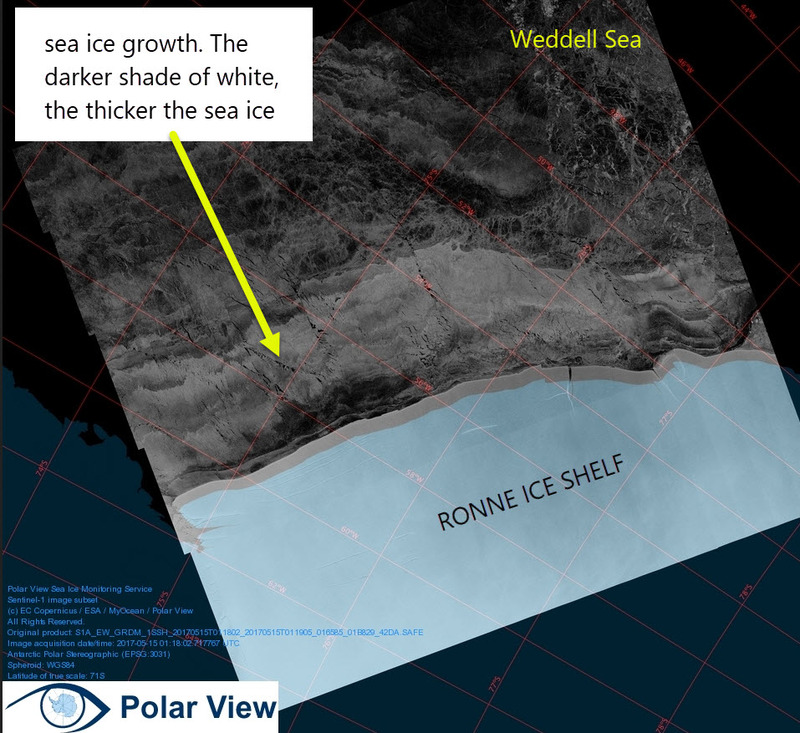 Probably for me the most striking feature is the extremely low sea ice concentration from Pine Island Bay through to the Ronne Ice Shelf - this is the Amundsen Sea. We are not going to see much more retreat of of the sea ice in this sector as it has already melted. I think it will stay open water until the freeze up begins some around the end of February. It would have been a great year to do ship based oceanography along that coast. I wonder if their could be an impact on ice shelf melt here. It is possible but as you can see from this article - it is water away from the surface and a few hundred metres deep that is in contact with the glacial ice in the Amundsen Sea Embayment, Overall this has to be a result of the recent El Nino, and is a follow on from the polynya events we saw hear in the late winter. In contrast you can see it would not be a good year to be working in the Bellingshausen Sea. Sea ice extent is currently relatively high in the Bellingshausen Sea. Nevertheless, as expected, it was possible to finally relieve the British Antarctic Survey Rothera Base in January. 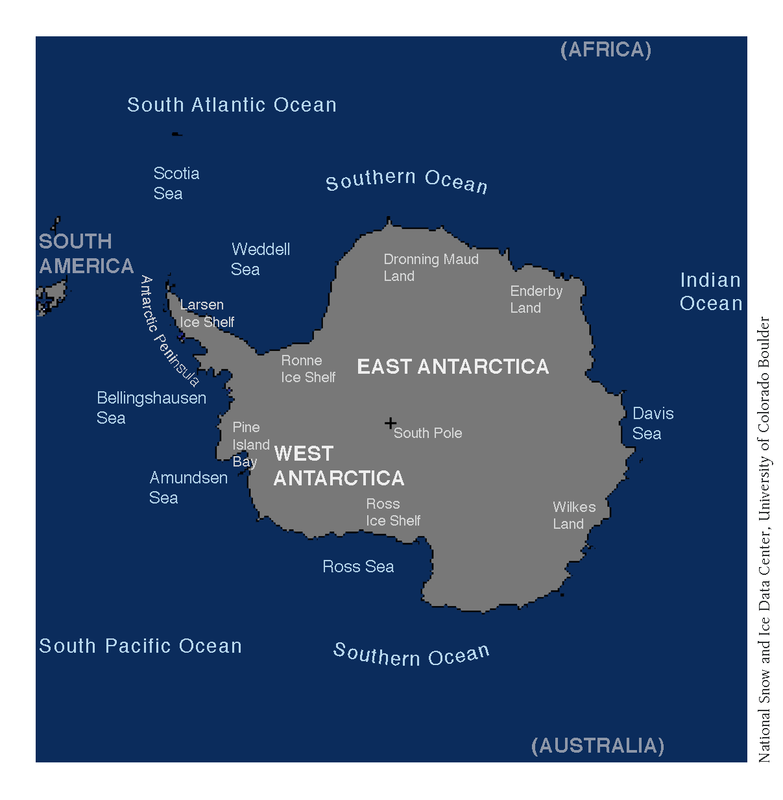 The Weddell Sea ice is at this stage in the summer is compressed against the Antarctic Peninsula. This means that there is heavier sea ice to the close to the Peninsula, and much lower sea ice than expected in the rest of the Weddell Sea. If you look at the MODIS Terra Image you can pick out a very sharp sea ice edge. MODIS image from the TERRA satellite 23 January 2017. 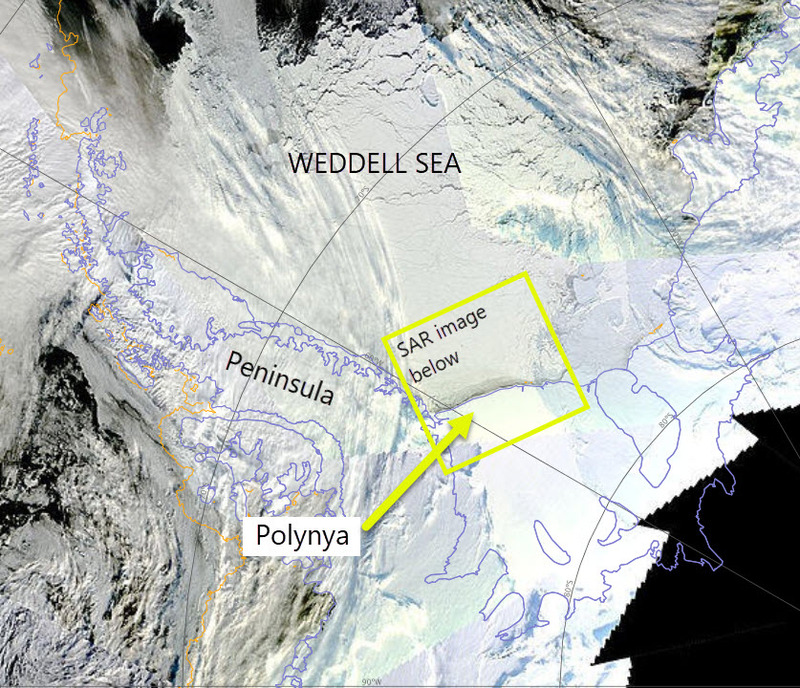 The sea ice edge in the Weddell Sea is very sharp. Shackleton would have been in trouble this summer if he was heading to Elephant Island. 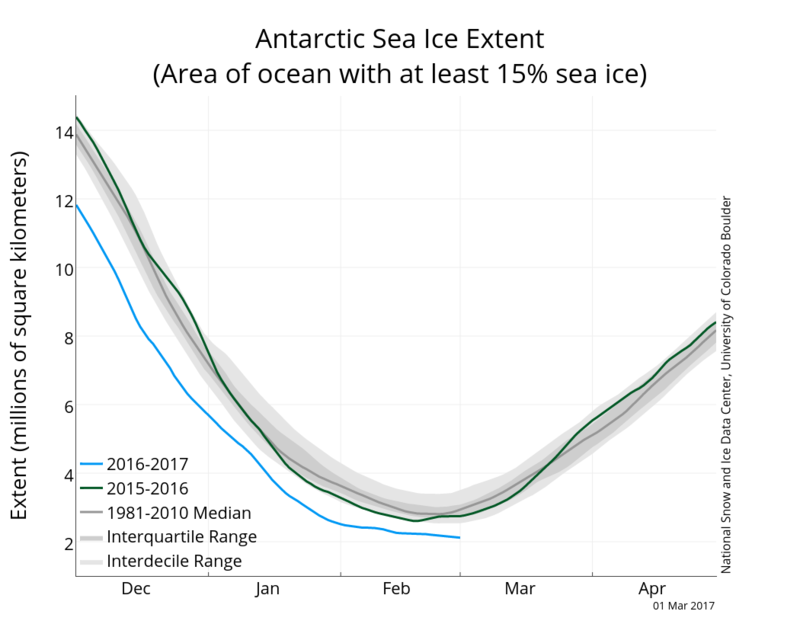 Towards the annual Antarctic sea ice extent minimum. We expect the sea ice to reach a minimum towards the end of February. Clearly there are places where there is no more sea ice to melt. Where sea ice is present, it is all down to winds over the next month. If they change and move the pack towards open water then - just as we have seen in the Arctic, the concentration could fall much lower. If the winds continue as they have then we could expect the extent fall to slowly as the seasonal melt continues. 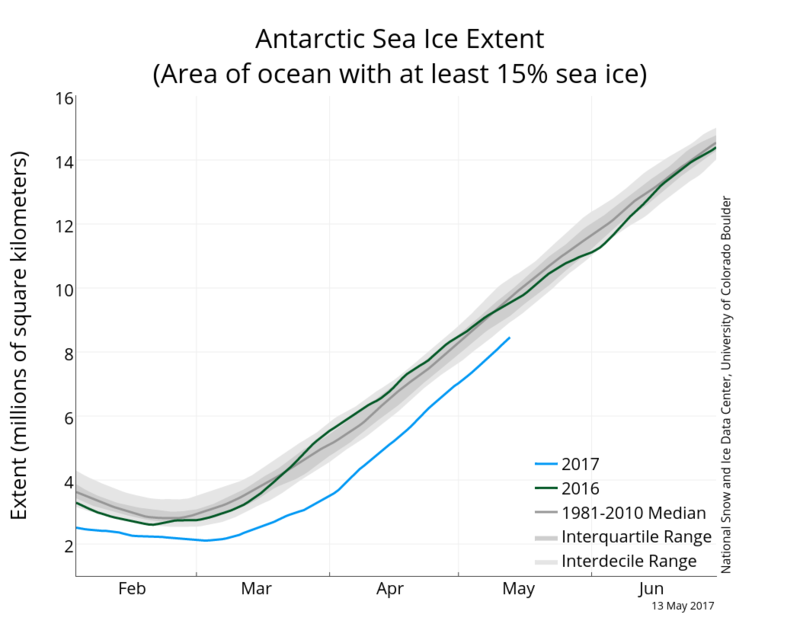 Overall it is still to be likely a record breaking year in the Antarctic sea ice extent record. Posted in Science. Tags: Amundsen Sea, antarctica, Bellingshausen Sea, MODIS, sea ice extent on January 24, 2017 by Mark Brandon.